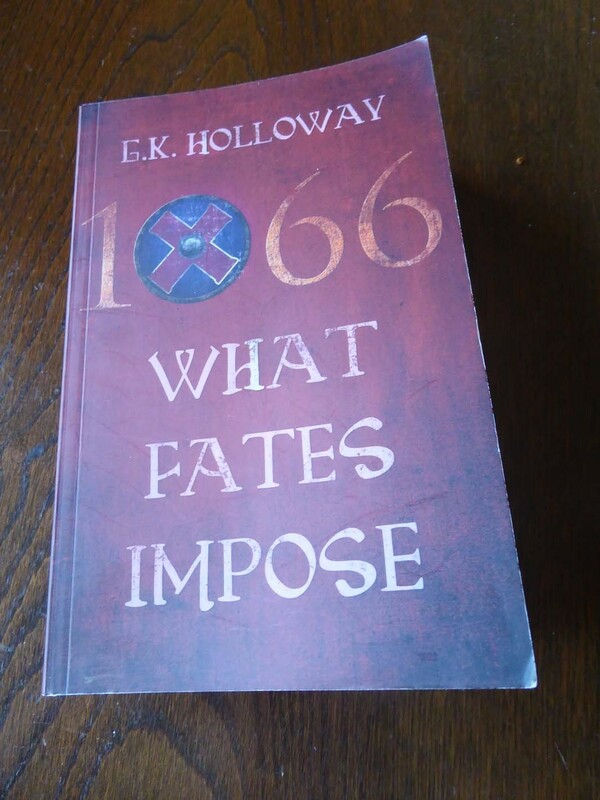 This book, by G. K. Holloway, tells the story of the events leading up to the Battle of Hastings. After a grisly account of the death of King William in 1087, it returns to the beginning, to 1045 and the marriage of King Edward (later called The Confessor). After many years of Danish rule, England has a king from the house of Wessex, but is Edward the right man for the job? His mother is Norman, he has spent most of his life in exile in France. It is on his wedding night that he makes the fateful decision not to provide an heir. His wife is Edith, daughter of Godwin, Earl of Wessex. Godwin and his sons are the most powerful family in the country; they are feared and hated by other Earls and the King himself. They try to wield power fairly, for the most part. Years pass and Godwin, together with his sons are unjustly exiled but return, more powerful than before. The lack of an heir to the throne creates unrest, as various factions jockey for position. Someone suggests to William, Duke of Normandy that he has a claim, however remote. He likes the idea and from that moment England’s fate is sealed. This is a long book, well over 400 pages, and the author knows his subject. He has obviously done a lot of research, explaining the politics of the day as well as including vivid descriptions of everyday life. The reader soon learn of the differences between life in England and France. The reader is forced to stand by, knowing what is to come, but unable, like the participants themselves, to do anything to prevent it. Personally, I would have liked slightly less detail. A little judicial editing would have slimmed down the book and given the characters room to breath. For example we don’t really know why King Edward behaves as he does. Does he really believe “God will provide” or does he want to destroy England? Perhaps he is just inept – he was, after all, the son of Æthelred the Unready. “it’s a question of will. You simply decide what you want and then you grasp it with all your determination. You do not flinch; you do not allow yourself to be distracted. You disregard criticism, you dispose of enemies and discard those who call themselves your friend but simply get in your way.” And he believes God is on his side. Other characters are less sharply drawn. Even Harold Godwinsson is unable to prevent William forcing him to take the vow that causes him such problems. But perhaps this is intentional. It heightens the sense of the inevitable, that nothing can stop what the fates impose – the downfall of England and the horrors which will follow under Norman rule. Although long, the book is easy to read and if you are interested in the history of what lead up to the Battle of Hastings, you couldn’t find a better account.